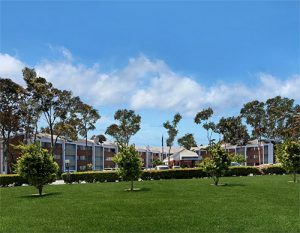 Located within walking distance to the beautiful, pristine beaches of Port Hueneme, the newly renovated Holiday Inn Express Port Hueneme offers 134 spacious guest rooms (including suites), with refrigerators and microwaves in every room. A complimentary Express Start hot breakfast featuring a variety of hot and cold items is served daily. Relax and unwind with two complimentary beverages and light snacks at the guest reception Monday through Saturday from 5pm-7pm. 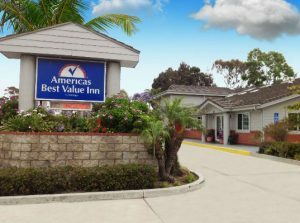 Government and business travelers will enjoy the hotel’s close proximity to Naval Base Ventura County and the Port of Hueneme. 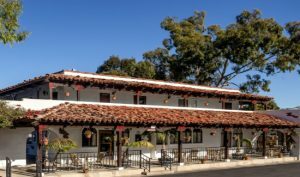 Time your visit just right and you can join us for exciting annual events such as the Hueneme Beach Festival, Banana Festival, Salsa Festival and California Strawberry Festival. Includes pool and service animals are allowed. Visit the Holiday Inn Express website for more information. Includes a pool. Visit the Casa Via Mar Inn website for more information. Visit the America’s Best Value website for more information. Book homes from locals. Visit the Airbnb website to see what’s available in and around Hueneme Beach.